I went to France by myself for a week last year. I like to travel, and Mr. Mau doesn’t, so he stayed home to watch the cats. 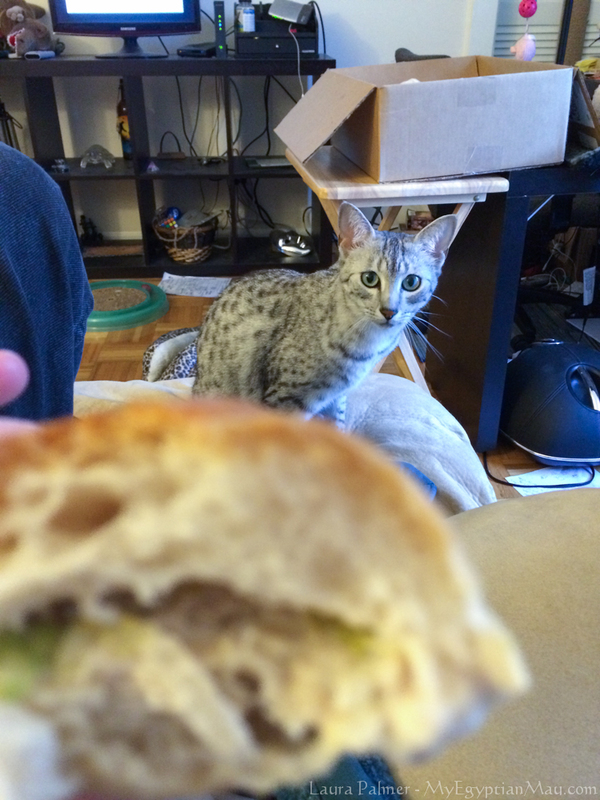 Mr. Mau also does not like cooking, so he ate out a lot, including this tuna sandwich. Wintermuse wanted it. She wanted it bad.